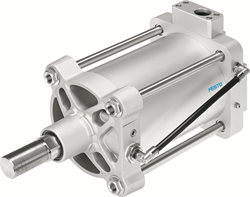 “Show attendees who know Festo as a pneumatics company will be excited to see that we offer a total process automation solution – everything from an integrated control platform for both pneumatics and electrics down to I/O,” said Craig Correia, Director, Process Industries, North America, for Festo. For more information on powders and bulk solids solutions call call Festo at 800-993-3786 and visit the Festo website http://www.festo.us. Be sure to stop by the Festo Booth #2939.